Ok, so you have finally convinced yourself to get back in shape. For most, this is the easy part. The difficulty sets in when you now have to decide where you will get in shape. There are hundreds of gyms, fitness centers, classes and trainers out there to aid you in your fitness endeavors, but which one is right for you? Let's take a look at some of the major gym types along with their pros and cons so that you can choose the gym that is right for you without having to visit numerous clubs, or get into long-term contracts. These large and accommodating facilities offer a top of the line fitness experience and make every trip to the gym an enjoyable one. Most of these types of gyms have hundreds of machines, free weights, sport courts, a pool, relaxation facilities and much more. Some even offer childcare for young children. The sheer size of this type of gym usually insures minimal time spent waiting for available machines and weights. Although you can arrange for personal 1 on 1 training, the staff is mainly focused on customer satisfaction and are usually working towards the sole purpose of making each member feel comfortable. Since most these clubs are a franchised brand, you can expect consistency from location to location and very flexible hours of operation. The economy gym is best described as the scaled down version of the Globo-Gym/Health Club. These smaller facilities often offer similar machines and equipment but at a greatly reduced volume. You wont find some of the more extravagant amenities such as the pool, spa, or childcare here, but the staff interactions and quality of facilities is usually right on par. A consistent member at an economy gym will usually develop a relationship with staff and management which can contribute to a greater overall gym experience. Specialty gyms are niche exercise facilities and can represent a large spectrum of the fitness industry. The most common gyms are Karate/martial arts, Dance/aerobics, yoga/Pilates,women's only, kettlebell, Crossfit, and sports specific. You can expect a small tight-knit community of members who are passionate about the discipline or exercise involved at their gym. Most are run by professionals who specialize in that particular area of fitness so you can expect a highly trained staff who focus on personal interaction and supervision. Don't expect to walk in and do your own routine by yourself. These gyms specifically outfit the gym for their exercise specialty and usually have a planned routine for you to take part in. 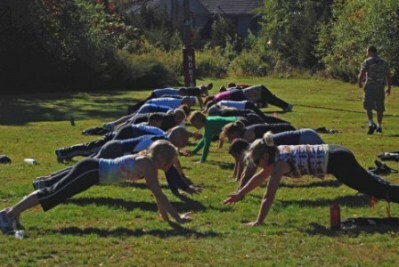 While not technically a "gym" the rise in popularity of outdoor group training and boot camps calls for consideration when choosing a place to work out. This experience is for the adventurous exercise enthusiast. Most groups are led by one or very few trainers and are located near a park, school, or business that is convenient for its members. These groups are usually small and develop a close relationship with their trainer. These instructor led classes often make use of the surrounding terrain and tend to keep equipment use to a minimum. Hopefully after reviewing the major types of gyms and fitness options out there you will have a better understanding of what is available and what gym experience you are looking for. Now go out there and choose the gym that is right for you!